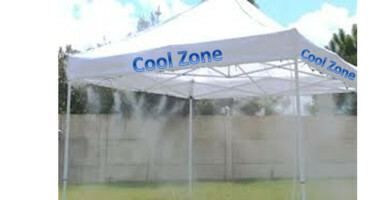 The mist tent makes a shade tree look hot! Helps keep participants and event staff safe from over heating. When the mercury rises, the mist tent is a true attitude adjuster.